It just seems right to begin the review of MoFi’s UltraDeck+M with the first MoFi record I bought many years ago. #007 – Steely Dan’s Katy Lied. Yeah, I’m that old. You probably hate Steely Dan, and you may not approve of the EQ curve they used back in the day, but whatever. I’ve heard this record a lot of times, on very many different systems, so this one is burned into my memory. For those of you not familiar, this particular MoFi record is slightly tipped up at the high end, and could probably use a touch more on the bottom, but pressed in Japan, as MoFi records back then, it’s incredibly quiet and free of distortion. This lack of distortion is what initiated so many of us to the idea of paying extra for an “audiophile remaster.” MoFi paved the way. Gently lowering the stylus to the second cut, this record sounds exactly as it should, with its tipped tonal balance in place. And it sounds glorious. A minute into the track, the UD’s ability to keep the musical pace locked down is uncannily good. A quick check with some Feickert tools confirms that the UD’s speed is spot on and unwavering, which is a significant contributor to this tables ability to pull it all together. You can buy the UltraDeck without cartridge for $1,799, and for those of you that like to mix and match, this is a great way to go, but if you’d like a plug and play solution that is straight out of the box fun, I suggest the UltraDeck+M package that includes MoFi’s MasterTracker MM cartridge for $2,199. 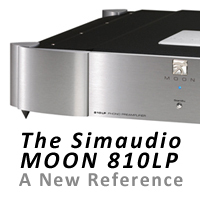 In the context of my six-figure reference system, the UD+M turns in a highly competent presentation, up against the big boys from Brinkmann, AVID, and Grand Prix Audio. No, this isn’t a $20k analog front end for $2,199, but it’s ticking all the boxes. There’s something about a good MM cartridge that really makes music come alive. There’s an explosive character about MMs I find incredibly appealing. Considering the Japanese company that manufactures the cartridge for MoFi, this is no surprise – I recognized the sonic signature quickly. The MasterTracker’s billet aluminum body and unique damping material are said to eliminate resonance and was voiced by MoFi with Spiral Groove designer Allen Perkins. It’s hard to believe that this much performance is available for $699, less if you bundle it, but it’s a great addition to your system. Purchasing the combination from Music Direct with the cart in place and installed is a great place to begin. Straight out of the box, the combo is fantastic, but breaking out the Analog Magik toolkit, I was able to optimize the setup even further, achieving even better channel separation and lower distortion. While this is probably out of reach of the average customer purchasing a UD+M, it’s worth mentioning, because it illustrates that while MoFi does an excellent job on setup at the factory, this table is capable of even more performance if you have access to more sophisticated tools. Back to listening, this time with the original MoFi pressing of Hall & Oates’ Abandoned Luncheonette, the magic continues. The depth and subtle interplay between Daryl Hall and John Oates on this record is perfectly rendered – again with a large soundstage in all three dimensions. Moving to more current music, with substantial low-frequency content, Beck’s Sea Change (on MoFi, of course) fills the bill perfectly and reveals that the UD+M not only has significant LF extension but detail and pace. Again, that word. Every time I drop the tonearm on this table, that word keeps etching itself into my memory, and that’s such a big part of the musical experience that helps you forget your listening to recorded music and immerse yourself in the experience. The graininess and lack of low level that plagues nearly every MM cartridge regardless of price is surprisingly absent here. Auditioning acoustic selections or primarily vocal tracks proves highly convincing. A long stint of Ella Fitzgerald is enticing. 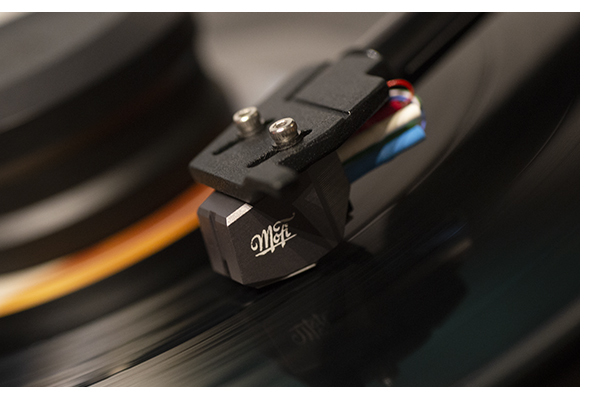 Ms. Fitzgerald’s signature smoothness comes straight through, and this turntable/cartridge combination is never at a loss to render tonal gradation the way you’d expect an excellent analog setup to do. As the listening sessions continue, it sinks in further just how great this combination is for just over $2,000. Granted this is probably not a casual purchase for most, but it is a substantial step up in performance from any turntable I’ve experienced in the $500 – $1,000 range. If you’re playing the analog game at that level and decide to trade up to a UD+M, this will be a revelation – it’s by no means an incremental increase in performance. Every aspect of the music revealed will be a major step up. And that’s one of the most significant aspects of this level of analog playback. The sonic gains are enormous for minimal cash outlay. 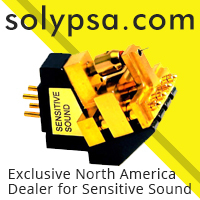 By comparison, going from your favorite $8k phono cartridge to your favorite $10k phono cartridge might only get you different, not better. Jay Leno once said when referring to cars that you’re either a wrench turner or a check writer. 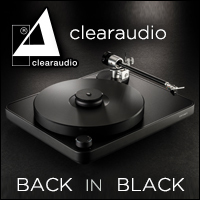 On a somewhat similar level, I feel that vinyl enthusiasts tend to be more or less predisposed to tweaking and upgrading their analog setup. Some are perfectly happy to “set it and forget it,” while others love to try and get more performance out of the existing setup. One of the things I love about my Rega P6 is that you can hang a Rega cartridge on the end of the tonearm and it’s good to go. 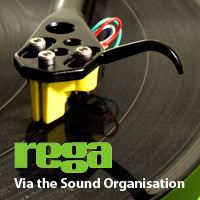 Now that Rega has implemented a machined sub platter, (a past point of contention) other than swapping cartridges, there’s not much room for change or improvement – and founder Roy Gandy likes it that way. However, if you would like to have a bit of an upgrade path to your table without replacing it, the UD+M gives some solid options. 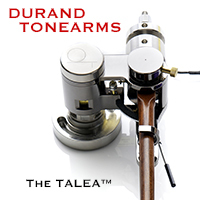 The tonearm is well suited to adjusting around different cartridges, and thanks to the RCA outputs on the back of the plinth, you can easily upgrade interconnects. Swapping the included interconnects for one from Cardas and another from Tellurium Q both made a tremendous difference – both revealing a substantial amount more music. Later, a few different cartridges were tried, and the $750 Hana SL proves cost effective as well, but then you will need to consider an MC phonostage. We can discuss that later. The Delrin platter is designed to be used sans turntable mat so that no improvements can be had there, but if you want to take your UD+M as far as it can go, consider a MoFi record weight and a better power cord. Most of you will never bother, but it’s nice to know you can. You either want an open system or a closed one. Good as this table is out-of-the-box, there’s even more performance to extract, should you take the path. You can tell a lot about a product, by the way, it’s packaged. Things often hurried to market are shabbily packed, but products built with pride nearly always carry that attitude all the way to the end. 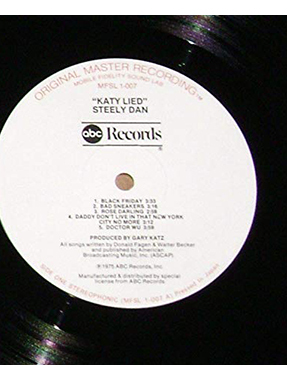 Mobile Fidelity has taken a great product and has packaged it tastefully and without excess so that you feel really good about writing the check. They even made the packaging materials orange to match the color of the drive belt. Nice touch. This may or may not matter to you, but I love the fact that the UD+ uses a standard IEC power cord and does not have a wall wart or small external power supply. I lose those things all the time, and it drives me straight up the wall. Those more organized may not be bothered in the least; keeping it all in one box also makes it easier to place on one rack shelf. Again, may or may not matter to you. Finally, all of this was accomplished right here in America. This table was not farmed out offshore to hit a price point. I think that is really impressive. 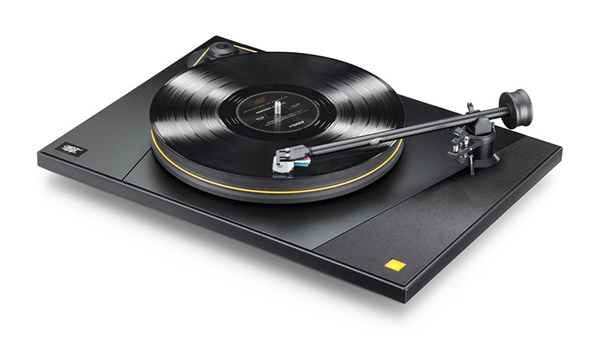 In the end, I’m happy to give this turntable one of our Exceptional Value Awards for 2018. This is as good as analog gets for $2,200.